You may not have a secret sauce or a highly secretive design formula (or you might), but you do have a brand name, a logo, a catch phrase, and other unique creations that you own the exclusive rights to. These things are your intellectual property, and no other person or entity has the right to use them without your permission. If a person does use your intellectual property without your permission, you lose the ability to reap maximum benefits for your original ideas. Fortunately, if this happens, the law is on your side, as using a company’s intellectual property without permission is a form of stealing. 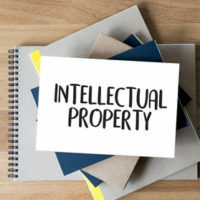 If you believe that someone has stolen your intellectual property, it is important to retain the help of a Fort Lauderdale business litigation attorney to help prove the theft and advise you of your rights. Copyrights: Copyrighted items may include paintings, photographs, software, music, photographs, or other forms of artwork. Trademarks: Trademarks may be put on written content, designs, and symbols that are meant to distinguish one product from another. Trade Secrets: Trade secrets are often the most valuable form of intellectual property, as they are what allow businesses to distinguish themselves from competitors and to retain a competitive edge. Trade secrets generally information not known by others. Your legal rights may vary depending on what type of intellectual property was stolen. For instance, if one of your copyrighted photographs was stolen, a painting reproduced, or software code replicated and distributed for profit without your knowledge, you may have a case of copyright infringement. You may also have a case of copyright infringement if your work was displayed or used in production without your express consent. If you own a trademark and suspect that another company has used the same or similar trademark on a similar product, you may have a case of trademark infringement. It is particularly important that you understand your rights in the event that a trade secret is stolen and used for monetary gain. If you suspect that a company trade secret has been leaked and used for monetary benefit without your consent, you may sue the offending party for misappropriation. If found guilty, said party may be forced to pay for the actual loss caused by misappropriation as well as the undue enrichment caused by misappropriation. If it can be proved that the misappropriation was done with malicious intent, the court may award additional damages that may not exceed twice the award amount (Florida Statutes 688.004). Keep a detailed account of how the infringement is affecting you monetarily, as without proven damages, you do not have a case. At the office of Edward J. Jennings, P.A., our business litigation attorneys can help you determine whether or not infringement has occurred, and if it has, advise you on what you need to do next to obtain justice. If you suspect that your intellectual property has been stolen, reach out to our firm today. Call our office or schedule a consultation online.